Air conditioners should serve households and commercial establishments in VA Beach for many years. However, in order for these machines to last long, regular maintenance is required. Without it, your air conditioning/AC units in VA Beach might just cost you high utility bills. According to the Department of Energy, not getting necessary maintenance can reduce the efficiency of a heating or cooling unit. If your AC in VA Beach is not in top condition, it will use up more energy than needed. Lack of maintenance can also lead to various other problems in your air conditioner, or worse, it can cause your system to malfunction prematurely. AC filters catch dirt, dust, pet fur, and other debris to keep indoor air clean. Leaving your air conditioner filters clogged can block normal airflow and release polluted air in your home or office. When polluted air flows indoors, it can trigger allergies or cause respiratory conditions. Clogged filters can also affect the performance of your AC’s evaporator and condenser coils. Soiled coils become less efficient in absorbing heat and can cause more serious problems in your AC. They can lower your unit’s cooling performance, freeze your evaporator coils, and overheat your compressor. Dirty coils can also force your AC in VA Beach to increase its energy usage and hike up your utility bills. The “fins” found in the coils can also block airflow if they are bent or damaged. Apart from the filter and coils, other parts of your AC in VA Beach need to be inspected. The window seals of your AC, for example, are prone to moisture damage. When unaddressed, the window seals will allow cool air to escape from your home or workplace. If your condensate drain channels are also clogged, they will prevent your unit from reducing humidity efficiently. This results in excessive moisture that can stain your walls or carpet. At Smiley’s Heating & Cooling, we have a program designed to help you enjoy a healthy and uninterrupted air conditioning experience. We can also install a new AC unit. We have been trusted by many home and business owners in VA Beach for several years, so you know you can count on us. View air conditioning tips here. Creating and sticking to a maintenance plan will prevent your AC from experiencing any of the problems mentioned above. As with almost any machine, a well-maintained AC unit will serve you well for many years. Following a maintenance plan will keep your AC’s efficiency levels high. As per the principle of seasonal energy efficiency rating (SEER), a higher efficiency level means less electricity usage—and less electricity usage means lower utility bills. The Environmental Protection Agency (EPA) reported that poor indoor air could be two to five times more polluted than the air outdoors. Since people spend most of their time indoors, exposure to polluted indoor air can put your family or employees at risk to health issues. Having a regular maintenance plan reduces the risk of illnesses and makes your home or workplace a safer environment. Many people try to avoid doing AC maintenance, thinking it’s expensive or unnecessary. Another misconception is that it is time-consuming. The truth is that a maintenance plan for AC in VA Beach involves only a few tasks. Some are done seasonally while others are done annually, so they don’t really take up much of your time. Many AC unit owners may not be aware when it’s time to enlist the help of a professional for air conditioning/AC repair in VA Beach. Without a maintenance plan, you might just one day be surprised to know that your system is experiencing major trouble. You see, apart from extending the life of your AC, a maintenance plan helps you detect any problems before they get worse. We highly recommend doing AC tune-ups before the summer, so your AC in VA Beach will be ready when it’s needed the most. At Smiley’s Heating & Cooling, we have a team of technicians who specialize in air conditioning and heating repairs in VA Beach. We can fix any issues of your units before they become major problems. If we do find any serious problems in your AC, no need to worry. 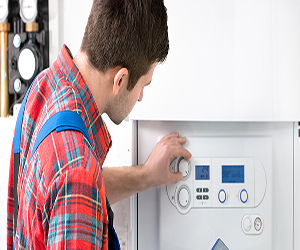 At Smiley’s Heating & Cooling, we know the best way to deal with major air conditioning and heating repairs in VA Beach, like compressor replacements. We will have your unit running efficiently in no time. Click here to view our products. For all your concerns with air conditioning and heating repairs in VA Beach, Smiley’s Heating & Cooling is here. We are a trusted and respected name in VA Beach’s air conditioning and heating community. Call us at (757) 716-3404 and schedule an appointment.